The BasX offers all the essential features that make a great audio component. 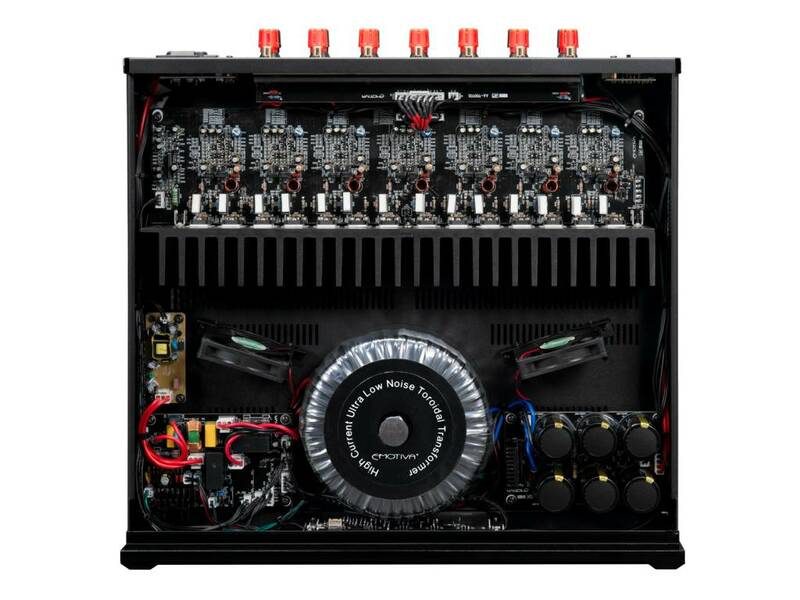 The circuitry in the BasX A-700 features a heavy duty linear power supply, great sounding high-current short signal path Class A/B amplifier modules, a trigger input and output, and industry standard unbalanced audio inputs. 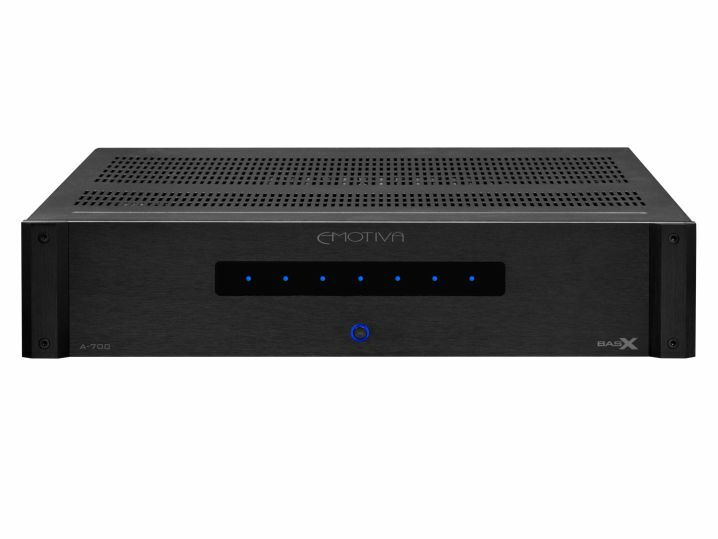 It also includes audiophile-quality fault protection that’s completely transparent in normal operation, yet protects the A-700 and your other equipment from common fault conditions. The BasX A-700 delivers real audiophile sound quality – and we’ve got the specs to back that up: 110 watts RMS per channel at less than 0.1% THD into 8 ohms (two channels driven); THD+N of less than 0.02%; and a signal to noise ratio of 120 dB referenced to full power. 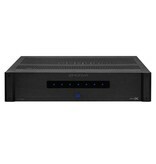 While the BasX A-700 offers lots of performance, you won’t need a Ph.D. to install and use it. Just plug the BasX A-700 into any standard 115 VAC or 230 VAC line; it will figure out the correct voltage to use. A removable heavy-duty power cable is included, and, if you want to experiment with power cords, the BasX A-700 also accepts any industry standard IEC power cable. The speaker outputs are heavy duty five-way insulated binding posts that work equally well with bare wire, banana plugs, or spade lugs. The BasX A-700 is built to last, with a heavy duty steel chassis, solid milled aluminum faceplate, and high-quality parts and construction throughout… We expect you to enjoy your BasX A-700 for a long time – and we back that up with a full three-year warranty. 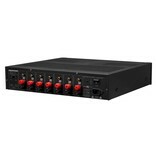 The BasX A-700 is a seven channel power amplifier. 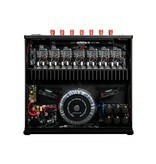 The BasX A-700 combines classical audiophile amplifier architecture - based on a heavy-duty linear power supply, and a carefully designed high current, short signal path, Class A/B output stage, with advanced, microprocessor-controlled monitoring and protection circuitry, to deliver superb sound quality at a truly reasonable price. 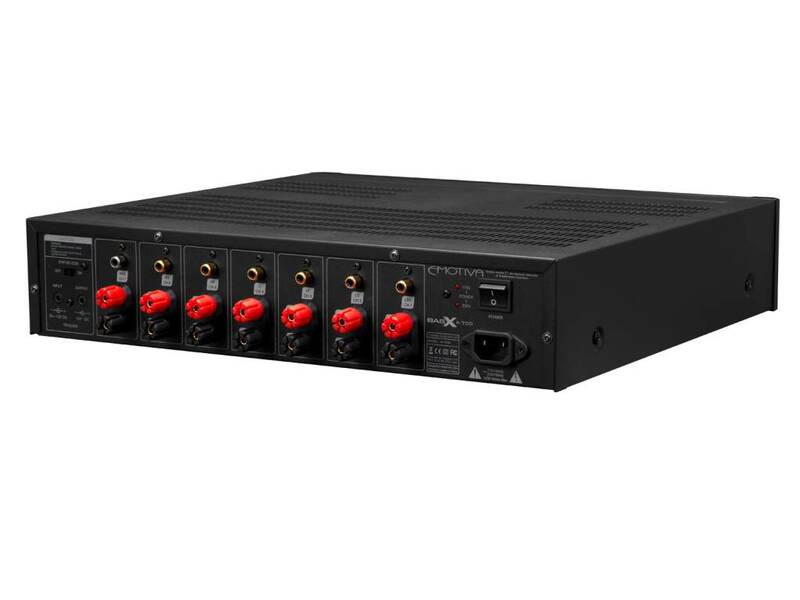 The BasX A-700 is protected against excessive operating temperature, shorted speaker connections, ground faults, and other common fault conditions.